The trend of splatter brushes will never get old as it gives a great impact to the overall outlook of the graphic or design. Even the banner Photoshop brushes are in huge demand among the designers as it helps them create promotional designs for brands and businesses. These useful banner brushes come in a variety option, opening up new ideas for the designer to use them in their projects. So, go ahead take a look at the collection of amazing splatter brushes and many other brushes!You may also check Marker Brushes. 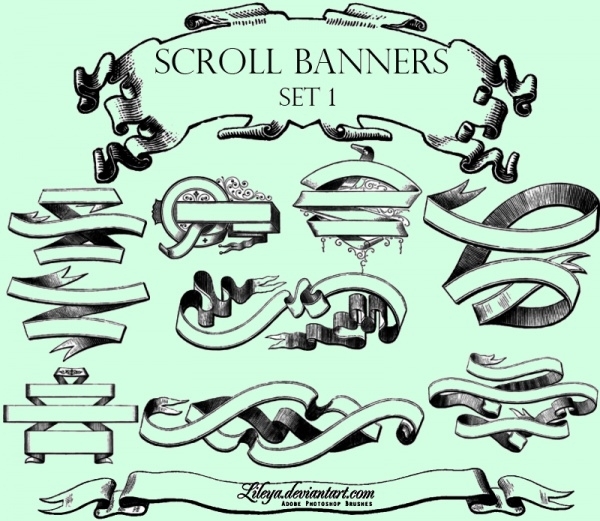 Here’s an exciting set of scroll banner Photoshop brushes that also consists of fountain pen along with ink bottle and feather. 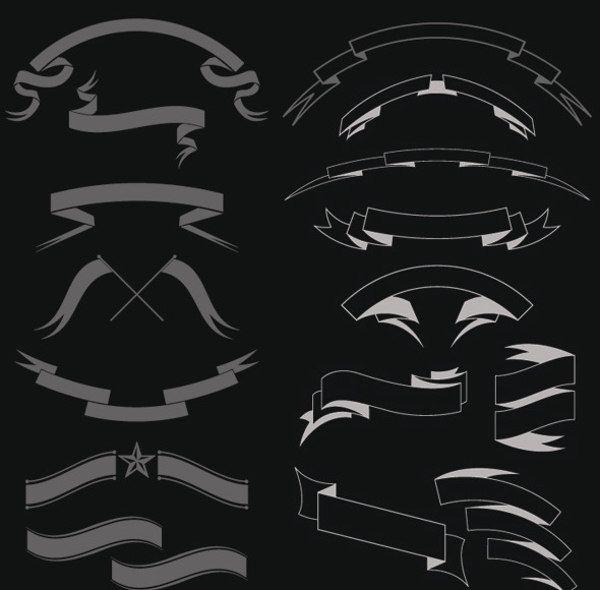 All the brushes are available in high resolution.You may also see Sketch Brushes. 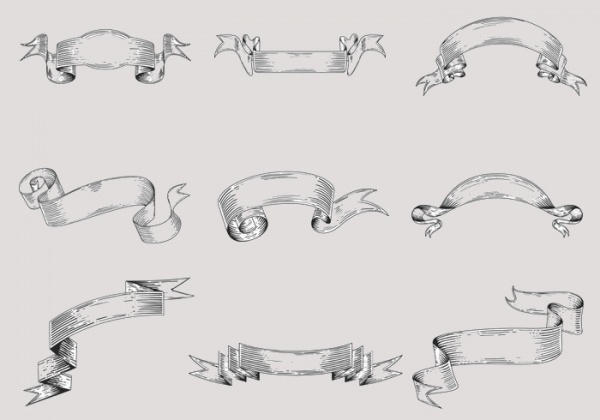 This is an amazing pack of Etched banner ribbon brushes, which will add an awesomeness to your artwork. It includes up to 9 stunning etched banner brushes that can make any announcement look attractive and eye catchy. Here’s a complete pack of 6 high-resolution Photoshop brushes that showcase accurately designed vintage banner. It is ideal for digital and print projects. 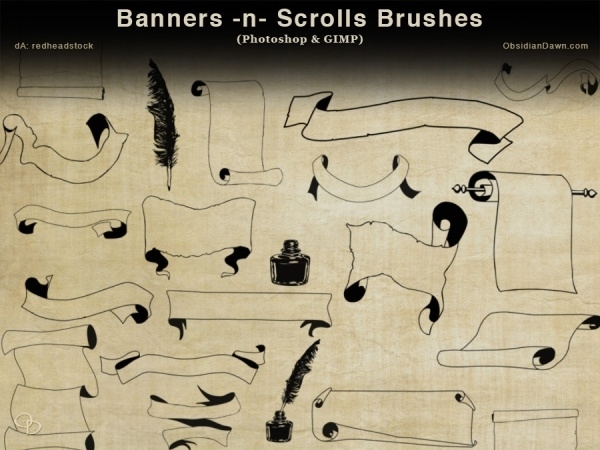 This is an artistically designed set of hand drawn banner Photoshop brushes that can add aesthetic value to your work. Click below to download it instantly. 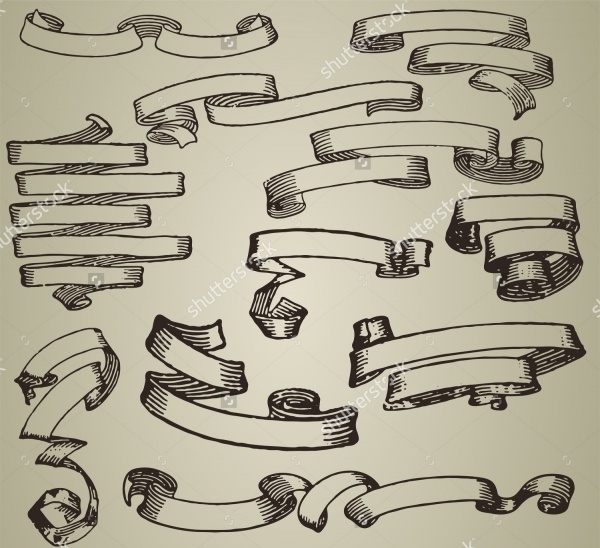 A huge and versatile pack of about 53 design elements such as banners and curls that are creatively designed for decorative projects and designs. Click on the below link to download it. 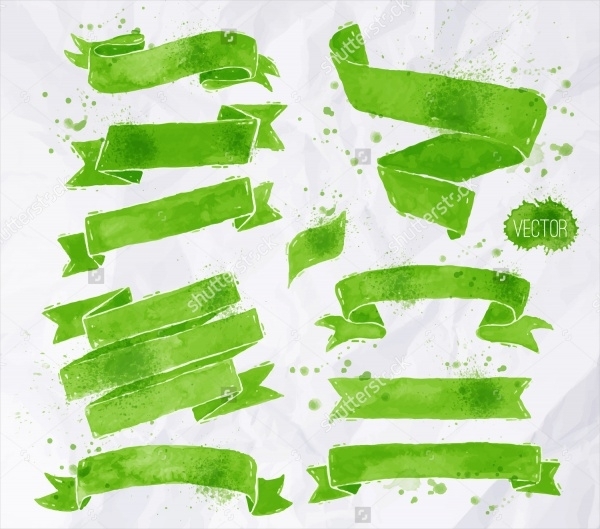 This is a lovely assortment of Watercolor Banners and Ribbons in light green color. It displays banners on the crumpled paper background. 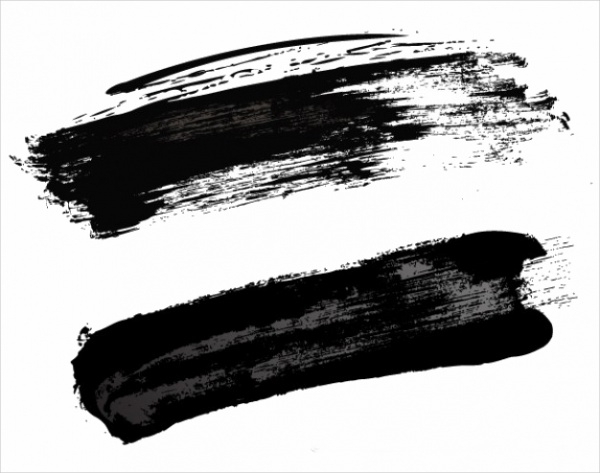 Are you looking for a high-resolution set of Photoshop brushes? Then you have landed at the right place. 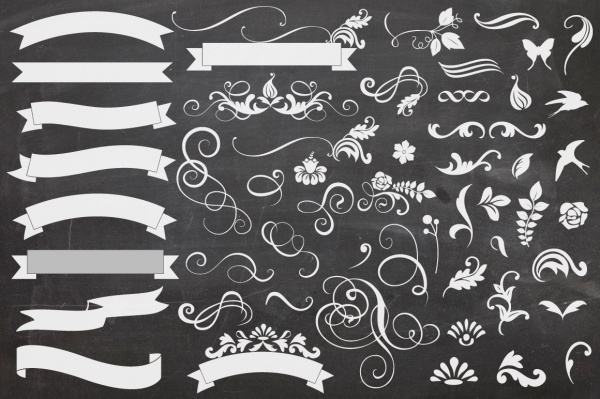 It consists of floral banner scroll brushes that can present your text in a beautiful way. 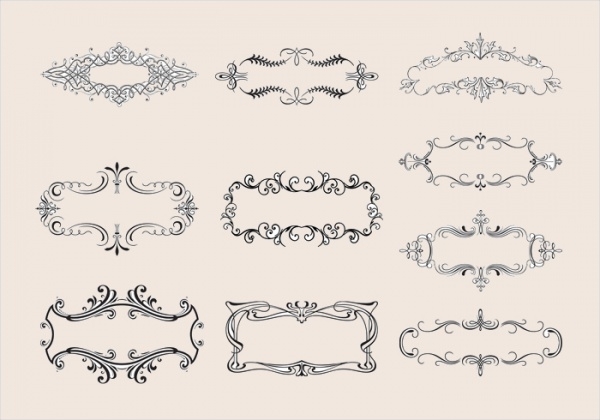 These are the simple and elegant scroll banner brushes that can change the entire outlook of your design with its pleasant appearance. 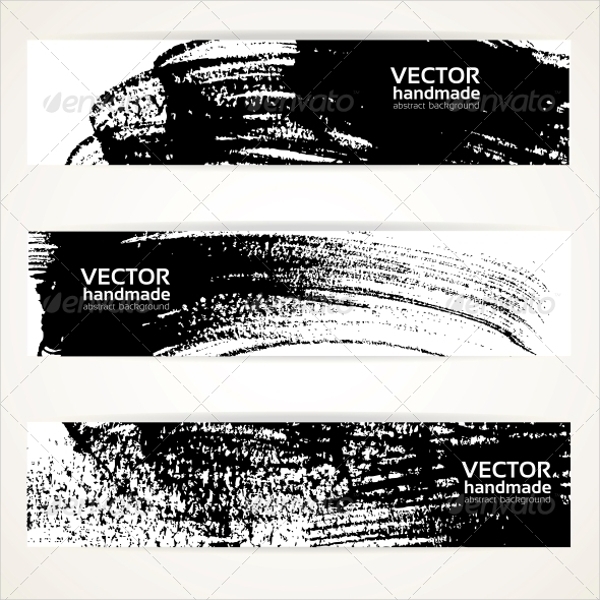 This 300 dpi vector brushes can be used for decorative purpose. 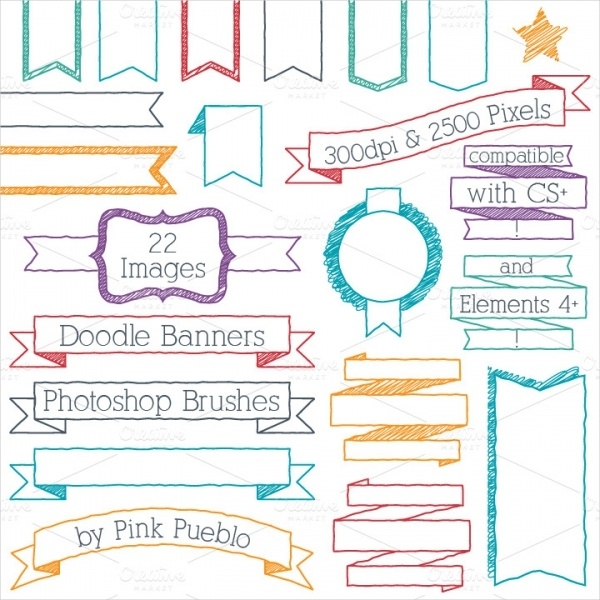 The set of Doodle banners Photoshop brushes consists of 22 brushes in high resolution. These colorful set includes blue, red, yellow and purple Photoshop Brushes. 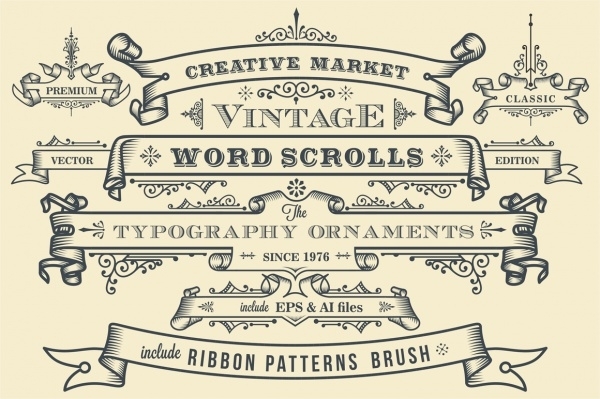 This is an amazing pack of retro banner brushes, which will come handy while working on the project with vintage theme. It can be used as abstract background. 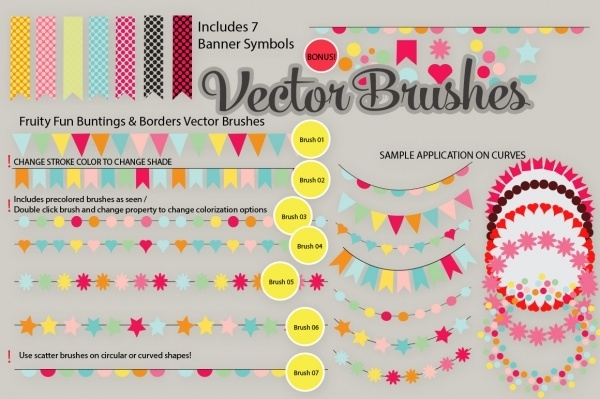 Here’s a lovely set of 25 Ribbon Pattern brushes that are easily adjustable and editable. 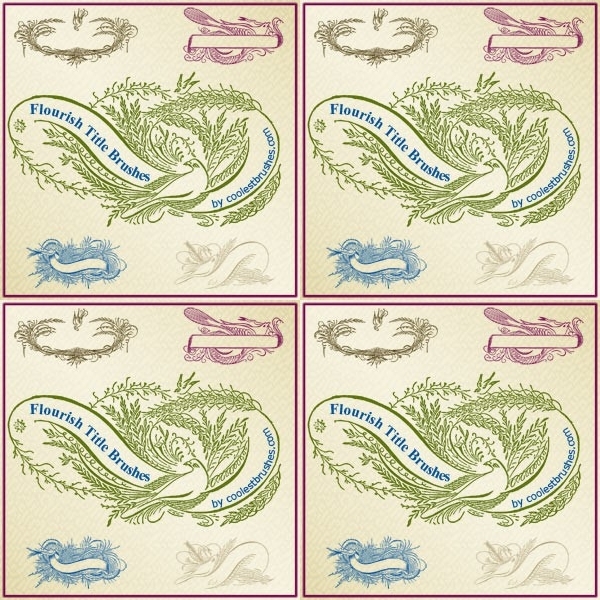 It is a great selection for logo design, stamps, labels, apparel design, etc. 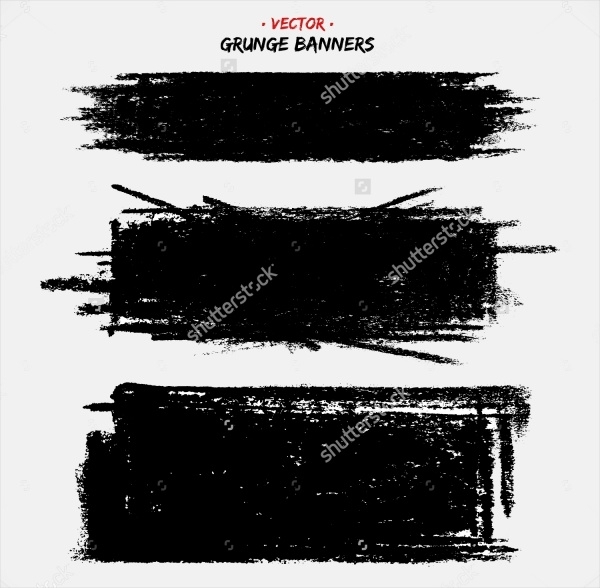 An interesting set of vector banner brushes, which can showcase advertisement content or company name in a stunning way. 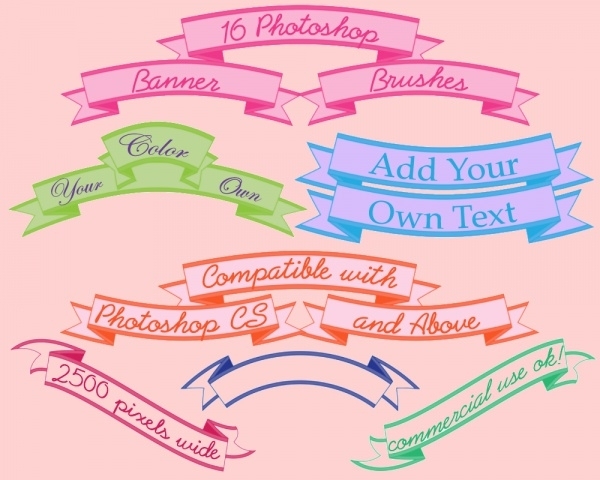 A complete set of 16 high-resolution header banner brushes that features Photoshop brushes in a variety of colors such as blue, pink, green, etc. 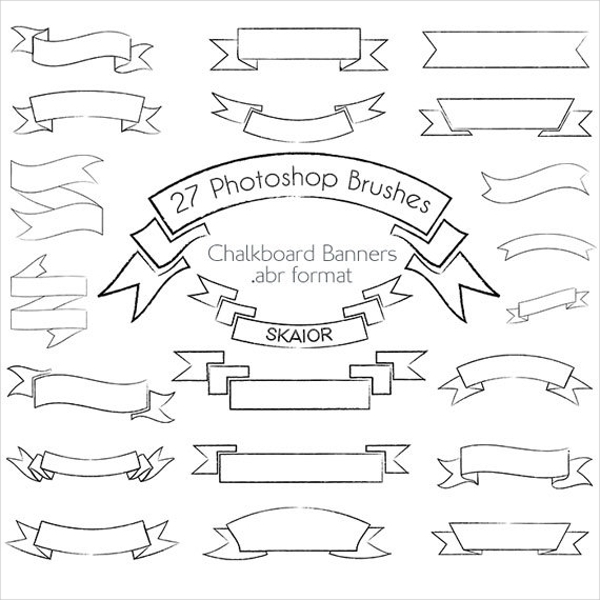 This is a professionally designed digital stamp banner brush pack, which comes in PNG format. 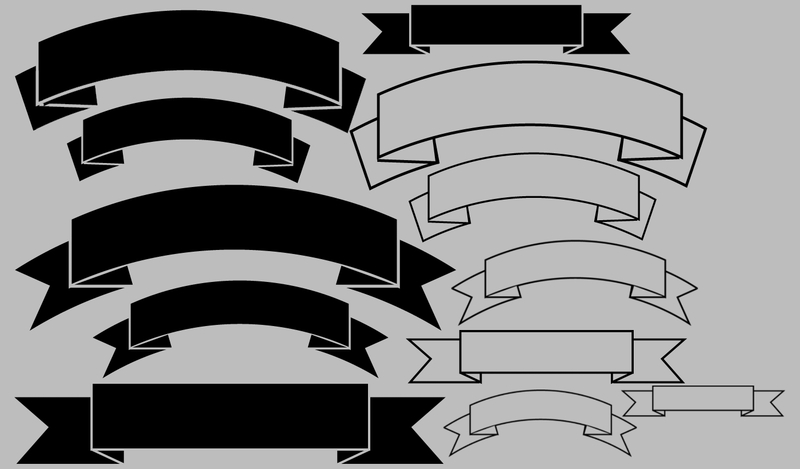 This ribbon banner brush can help you create logo, stamp, labels, etc. Here’s a attractive set of floral banner Photoshop brushes, which comes with a vintage outlook for a better end results. Follow the below link to download it. Definitely, you are impressed with these intriguing Photoshop brushes, which also includes some free brushes and ornament brushes that can be helpful for various projects. All of these brushes are outstanding and you should surely add them to your brush library. Moreover, the brushes will be handy for any instant work or design.